Football: Champions Cup is a Video Slot from the Net Entertainment labs, and while the game was initially released to celebrate the Euros in 2016, it’s since become somewhat of a classic, attracting thousands of players each and every day. 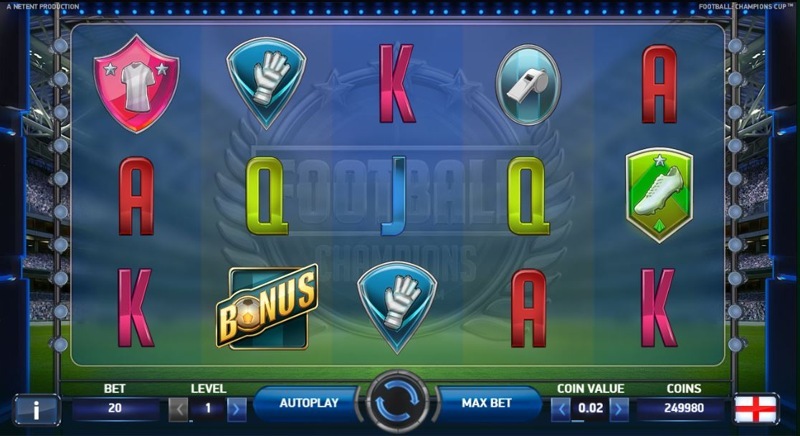 A range of bonus rounds and features keep players entertained at all times, and thanks to the way the Video Slot is built, the feature is fully-interactive, allowing players to enjoy a unique gaming experience that simply can’t be found with the majority of slots these days. Football: Champions Cup is built on the classic Net Entertainment structure, with 5 reels, 3 rows, and 20-paylines, and players can begin spinning the reels for as little as 20p, with the maximum stake capped at £100 a spin. While – graphically speaking – it may not be Net Entertainment’s best work, the look and feel of the game is relatively authentic, and ensures players feel as though they’re engaging with the game, rather than facing a perfectly crisp High-definition design, that can, at times, feel a little un-personal. No football-themed game would be complete without a classic Penalty Shootout, and Football: Champions Cup’s first bonus is just that. Triggered by landing three of the bonus symbols anywhere in view during the base-game, this bonus is simply a “pick me” type feature, where you’ll try to work your way through five rounds to win the shootout! Just like a real Penalty Shootout, you’re tasked with making tough decisions, and first, you must choose which part of the goal the player taking the penalty should aim for. It’s then time for a bit of role-reversal, as next up you’re in charge of the keeper, and must pick which way he should dive, to try and save the opposing team’s penalty kick. If you manage to score a goal, your team’s score increases by 1 point, and you’ll be given a cash win. For saving a penalty, you’ll enjoy a win multiplier, which multiplies the total cash prize you end up with. 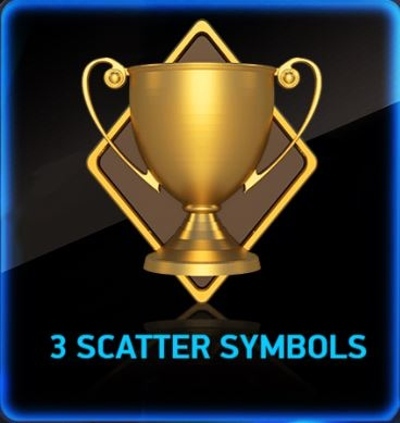 The free-spins bonus is triggered by landing 3, 4, or 5 of the scatter symbols (Gold Cup) anywhere in view during the base-game, and do so, and you’ll be taken to a free-spins tournament, which features just like the knockout stages in a real-life football competition. Each round of free-spins you play counts as a separate leg, and if you manage to make it to the next leg, you’ll enter another free-spins round. 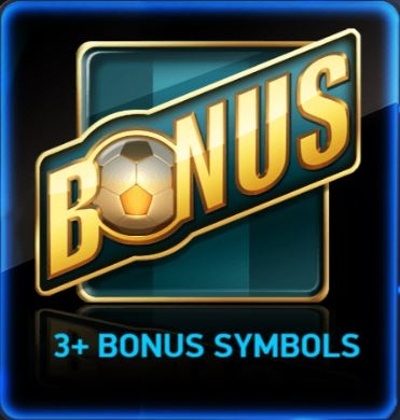 Each free-spins round begins with you getting 6 free-spins, and during the free-spins, you’ll notice additional wild symbols appearing on the reels; there’s two – blue and red – and each time a blue wild lands on both reels one and two, your team will ‘earn’ a goal, while a red wild landing on both reels 4 and 5 will award your opponent a goal. The winner at the end of the six spins is the team with the most goals, and if that’s you, you’ll go to the next leg of the tournament, starting the next round of free-spins.